Nintendo believes 2014 will be another strong year for the 3DS. Nintendo's darling of 2013 was the 3DS, the handheld that picked up steam with the launch of several successful games for the system. Today Nintendo announced more than 16 million combined packaged and digital 3DS games were sold in 2013 - a 45% increase over 2012. Hardware sales also increased, crossing lifetime sales of more than 11.5 million just in the United States. "Nintendo 3DS is a powerhouse with games and experiences that appeal to all kinds of players," Scott Moffitt, Nintendo of America sales and marketing executive vice president, said in a press release. "We're not slowing down in 2014. With more games featuring fan-favorite franchises on the way, the best days of Nintendo 3D are still to come." Several 3DS games from 2013 reached a Metacritic score of at least 85, and two of those -- Legend of Zelda: A Link Between Worlds and Fire Emblem Awakening -- surpassed a score of 90. Other well-received games include Pokemon X and Y, Animal Crossing: New Leaf, and Luigi's Mansion: Dark Moon. 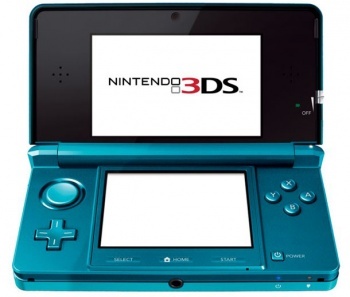 Also launched in 2013 was the 2DS, a redesign of the 3DS without the 3D slider and clamshell design. Nintendo believes 2014 will be strong as well, carrying on the rising numbers from last year into this year. Launching in North America soon are Bravely Default on Feb. 7, Professor Layton and the Azran Legacy on Feb. 28, and Yoshi's New Island on March 14. Kirby: Triple Deluxe is also set to launch in the second or third quarter of 2014 for the west. Nintendo still has a lot of work to market the Wii U and boost its sales there, but many have warmed up to the 3DS after a slow start.